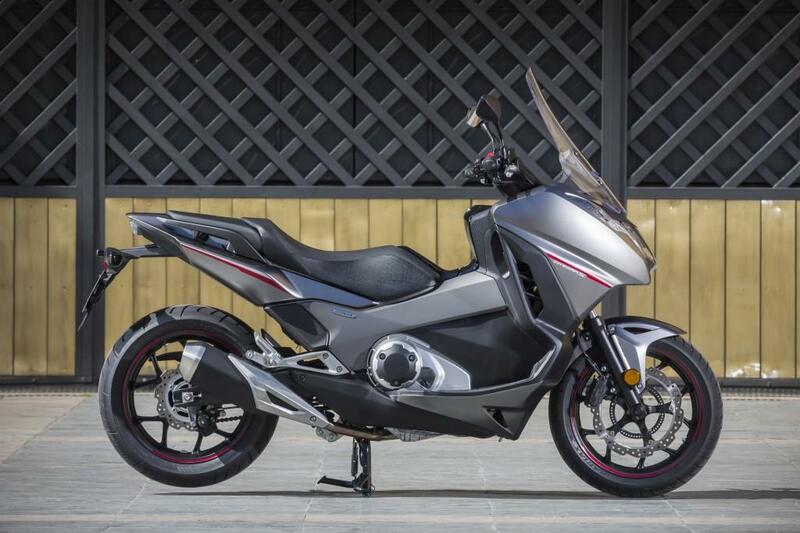 THE Honda Integra looks like a maxi-scooter, but it’s actually a motorcycle gone incognito because underneath the scooter-shaped façade is an engine and chassis shared with the NC750X. 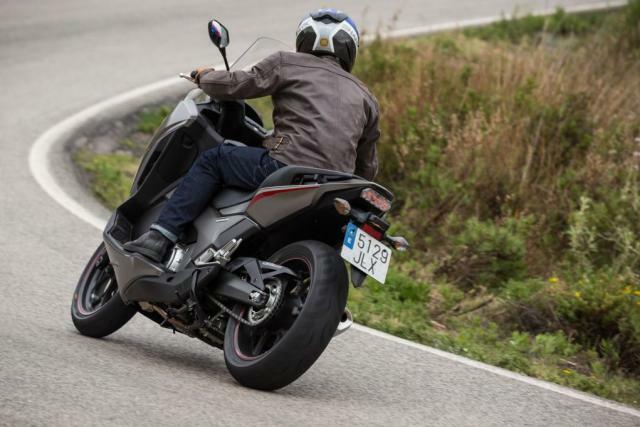 Scooter-ifying the NC750X must cost a bit more too because at £8,149 (£150 more than the previous model), the Integra is more expensive than the 2016 NC750X DCT, which costs £7,049. The Integra has a few clues to tell you that it’s not your standard maxi-scooter – like the 17 inch wheels and a chain and sprockets instead of a scooter’s traditional enclosed final drive assembly. This updated 2016 model includes changes that Honda says is designed to improve quality and make it feel more like a motorcycle. One of the most obvious is the new exhaust silencer, designed to improve the Integra’s sound and style. The forks are new too, featuring Showa’s ‘Dual Bending Valve’ internal damping system. 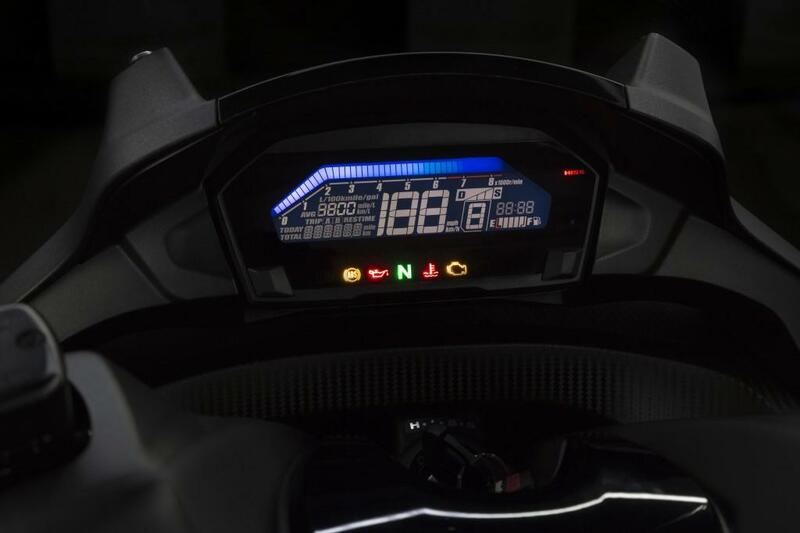 The front brake caliper is new as well, as are the LED front and rear lights and the crisp multi-coloured LED dash. 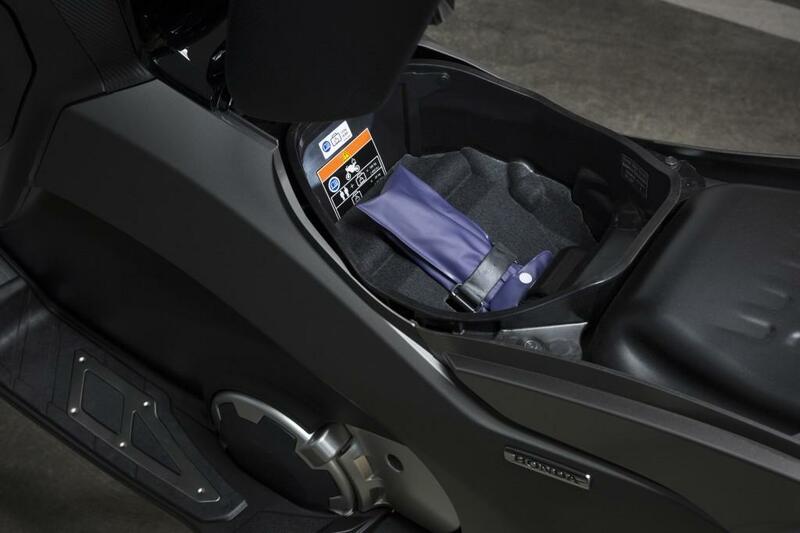 If you lift up the Integra’s skirt, you’ll see it’s a motorcycle, but that doesn’t mean it feels like one to ride. The seating and ride position are what I’d expect from a maxi-scooter – comfy, feet forward, relaxed, and accommodating. I’d like more step-through space between the foot boards though and getting on required me to swing a leg over the seat, like a motorcycle. Once moving, the Integra feels nicely balanced and it’s easy to thread through town. Because of those wheels and the well-damped suspension, it’s happy on faster, swooping roads, feeling more assured and stable at speed than your average scoot. Take it down a dual carriageway and you'll find that there's decent wind protection on offer from the front fairing, which shields legs from the windblast. The screen is effective too, but depending on how upright or not I was sitting, the top of the screen would usually be lurking round the bottom to middle of my eye line. My fault for being short. 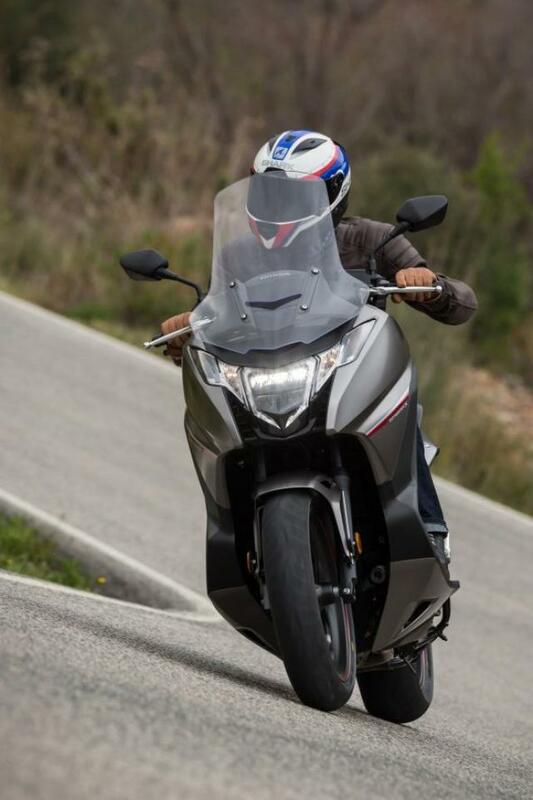 The Integra is powered by the same 745cc parallel-twin engine from the NC750X, which makes 54hp at 6,250rpm and 50lb/ft torque at 4,750rpm. Where the NC750X can be specced with a traditional manual gearbox, the Integra is DCT-only and it makes the Integra feel like the ultimate twist and go scooter. Honda’s DCT gearbox uses two clutches to provide seamless gear changes. One clutch is responsible for odd gears, while the other one takes care of even numbers; the clutches engage and disengaging to create ultra smooth shifts with no loss of drive during changes. When gears are being chosen manually, there’s no need to shut the throttle to change up or down. The absence of a CVT transmission means that instead of that slightly laggy throttle response I usually expect from a scooter, the Integra feels responsive and keen. In the automatic modes (Drive or the three levels of Sport mode), the engine responds and performs like I’d prefer every scooter’s to – with more motorcycle-like precision and sensation. Drive mode gives miserly performance thanks to the fact that it shifts up to the next gear at the earliest opportunity. I’m sure this does wonders for fuel consumption, but it makes for a sluggish, laboured ride. Whenever I needed to suddenly accelerate in Drive mode, if I didn’t manually override the gearbox I’d usually have to wait for it to change down, or for the revs to pick up enough to give me the drive I needed to avoid getting squished by a Spanish bin lorry. Still, that’s what Sport mode is for. Level one is the least sporty and level three gives the most aggressive engine characteristic, thanks to it being allowed to rev higher and change down earlier for increased engine braking. Sport level one feels similar to Drive mode, and although moving up to level two starts to give the bike peppier performance, I preferred to default to level three. Putting the Integra in Sport level three makes it feel like the ultimate twist and go because the engine is able to make more of its 54hp, which helps bring the Integra to life. Suddenly there’s enough grunt within easy reach to make for more energetic and precise town riding, along with the kind of performance I wanted when pointing down faster, arterial roads leading away from the crush of a city. It makes the bike feel at its most engaging, and more enjoyable than any scooter I’ve ever ridden. DCT can also be put in to manual mode, so if you want, you’re free to take the Integra through the gears with a couple of easily reachable switches on the left bar. Both Drive and Sport modes can also be overridden at any time. As on the NC750X, the idea of this was more appealing than the reality. Manual mode is good, and being able to override the auto modes was genuinely useful for when I wanted more punch out of a bend, but Sport mode is such a flexible and capable option on this bike, I rarely felt the need to ride it any other way. There’s probably a bit of psychology at work here too - this looks like a scooter, so I want to jump on, twist, and go without thinking about gear selection. Regardless of what mode the DCT is in, gear changes are smooth, although I was aware of them happening; at low speed I could often hear the transmission working underneath me. The suspension is well suited to the task of keeping the Integra connected with the road, affording the bike a good deal of comfort without ever feeling wallowy or burdened by myself and the bike’s claimed 238kg kerb weight. The shock is now preload adjustable too. 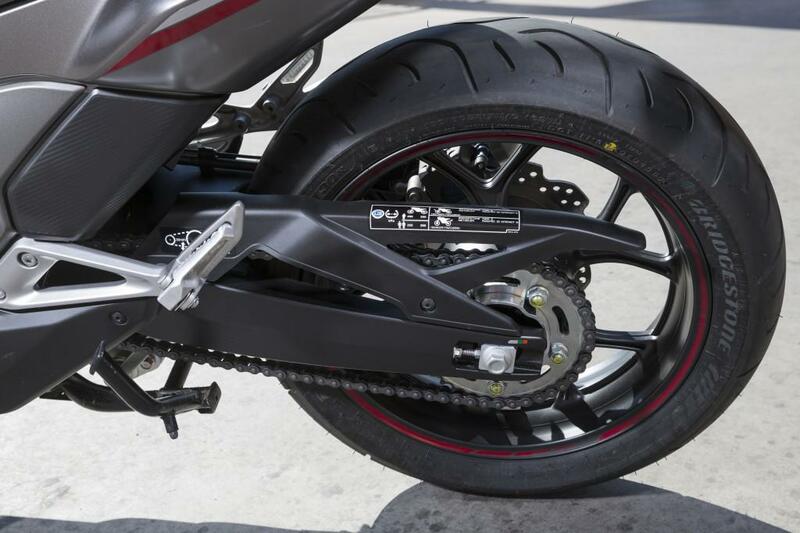 The new Nissin two-piston front caliper gives adequate stopping power. It’s not the sharpest front stopper, but feel through the lever is good as it’s squeezed more and more, and the back brake is effective too. The Integra's weakness is its storage, with the wheels encroaching on what would otherwise be under-seat space. One of the reasons people buy big scooters is because of their convenience, with storage clearly being a big part of that. 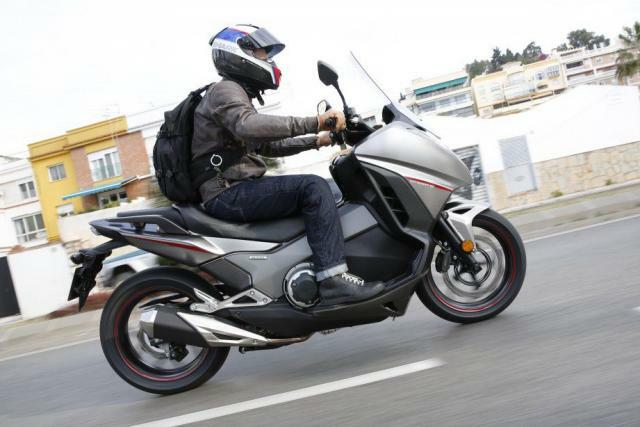 It’s not completely without space to stash your stuff, but compared to the £8,999 Suzuki Burgman 650 Executive with its 50 litres of storage (enough for two full face lids), and the Yamaha TMax (also £8,999 and capable of holding a helmet), the Integra is lacking. There is enough under-seat space to accommodate the contents of a handbag or rucksack, but you won't be getting a full-face helmet in there. The glove box isn’t massive either, although it was enough for me and I managed to get my essentials in there – phone, wallet and a small camera or GoPro. The Integra’s ride quality and performance, which has a bit more in common with a motorcycle than a scooter, is very good. 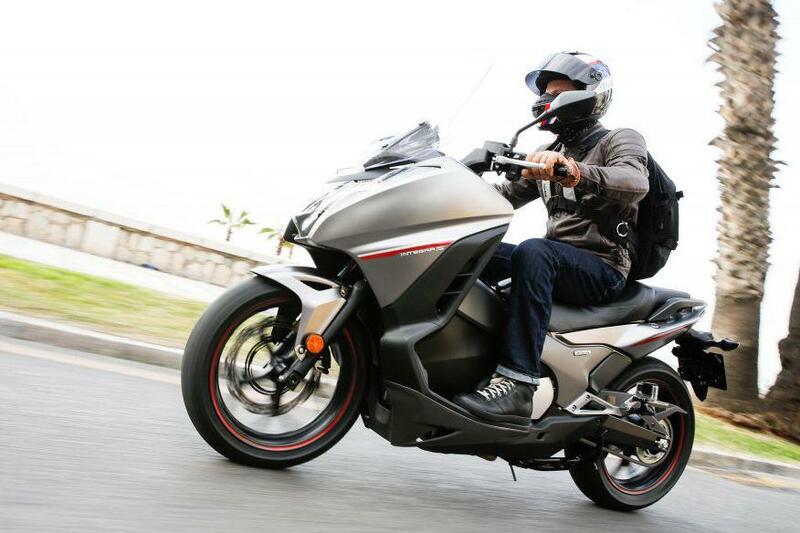 Its practical performance is also more akin to what you I’d usually expect of a motorcycle. That isn’t such a strength because the lack of storage makes it less practical than a lot of the bikes it’s competing against and isn’t practicality and storage the point of a maxi-scooter? The only advantage I can think that this bike has over the NC750X is that fact that it offers a bit more wind protection, otherwise, the NC has it beaten in terms of price, how it rides and how practical it is, thanks to a large storage compartment under the ‘tank’. While the Integra is a very good 'scooting motorcycle', if you're looking for true maxi-scooter load lugging and convenience, I don't know why you wouldn't just get a less radical maxi-scooter with more storage. Or an NC750X.